, ive been searching for a couple of videos about these crazy daredevil commandoes..always on a fight scene and theres a bit of self description about each of them on each of those movies.. its almost like a game cinematic but ..adorably animated and acted out..
cause i guess i found this on a site which mentioned you and your work..
darn.. i just cant remember it..
and ofcourse mate..keep inspiring..you ae always high up there in my hero alter..
Man... I think if I had the chance to work on that thing, I'd probably drop everything and move to Oregon or wherever they're doing that craziness. thanks for the codes, Victor. This looks amazing. thanks for the passwords victor...i was turning into a madman trying to figure out how to get inside ! it looks beautiful indeed ! I've been watching this production for a while now... thank you so much for the codes. 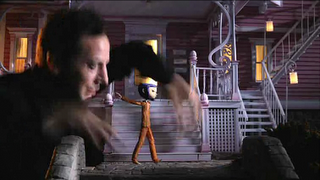 This film is going to be amazing, I can't wait to see it, major props to everyone at Laika. Oh wow, WOW! Thanks so much for listing the keywords!